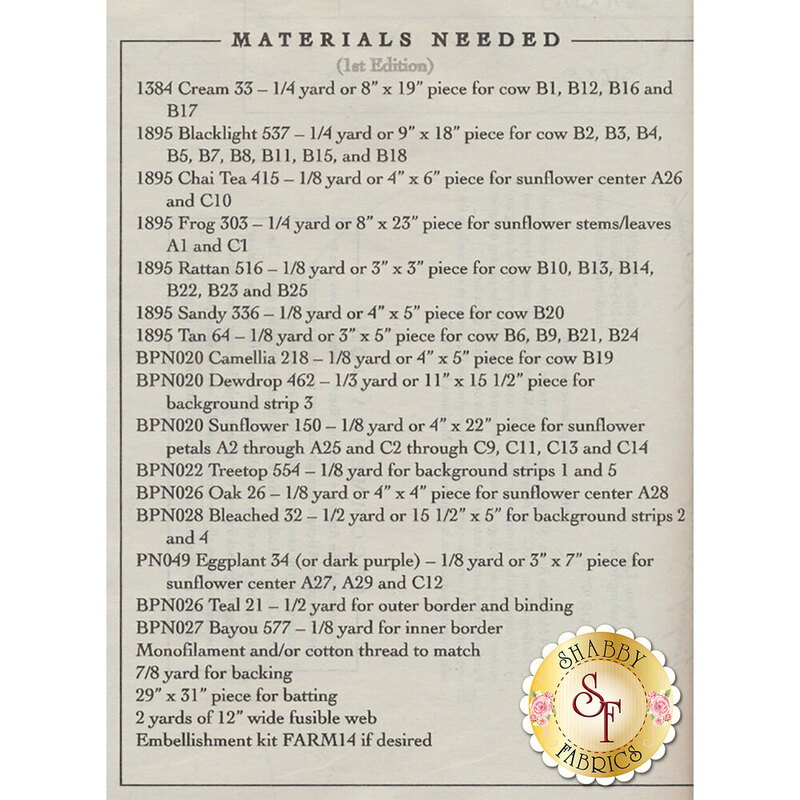 And on That Farm - A Moo Moo There is the block 6 applique pattern for And on that Farm Quilt by McKenna Ryan. 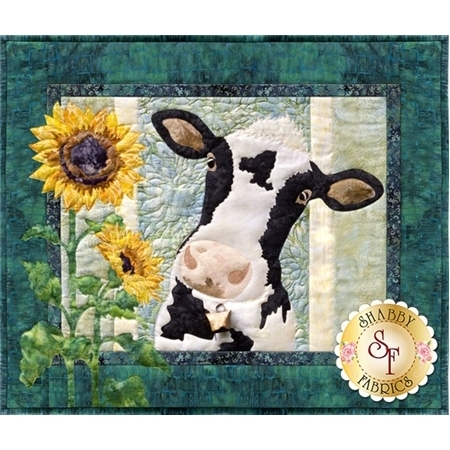 This quilt block features an adorable dairy cow surrounded by sunflowers. Finished quilt block measures 25" x 21".